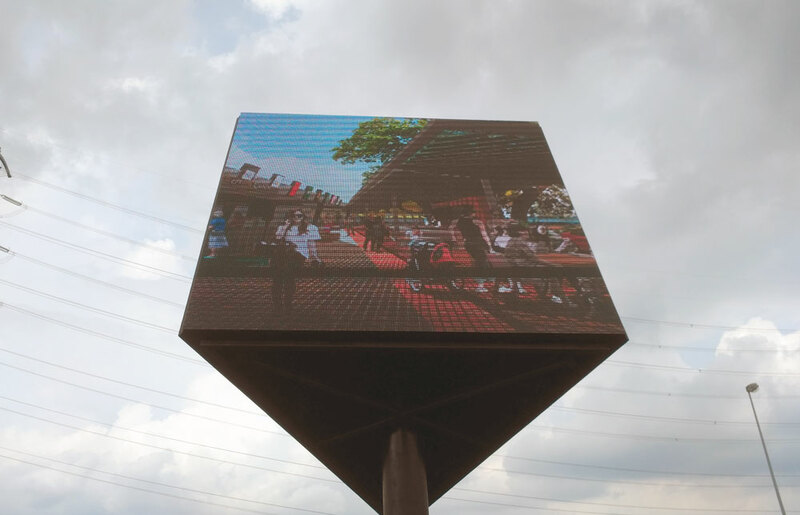 10 mm LED Outdoor Display on 3-sided Prism structure, Size: 2.88m (H) x 2.88m (W) per side. 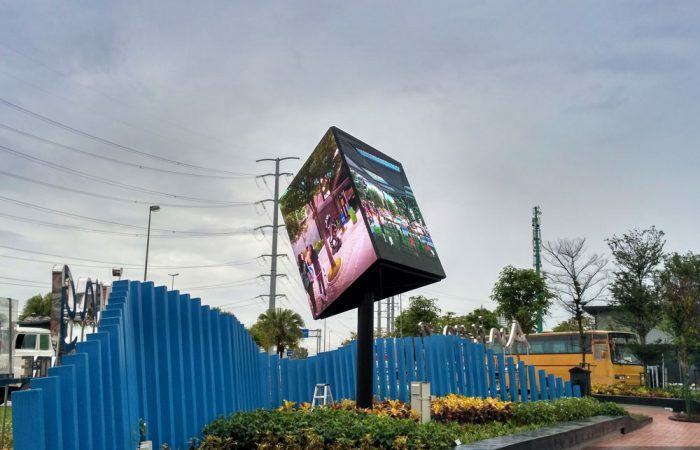 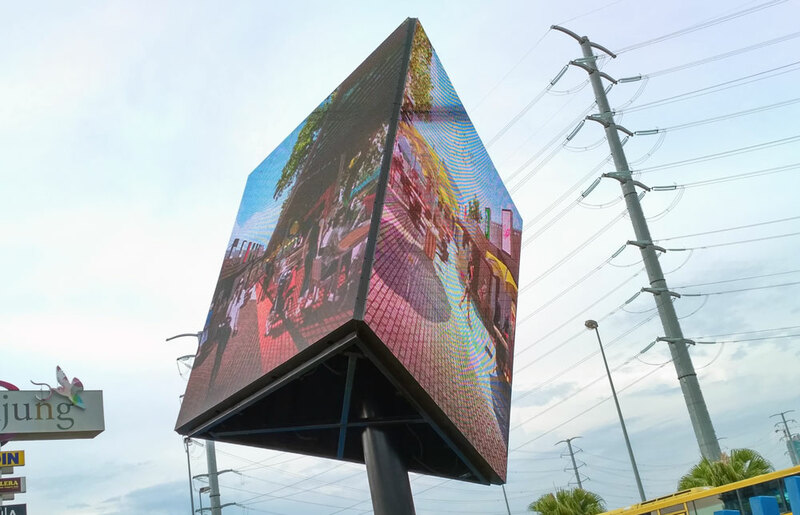 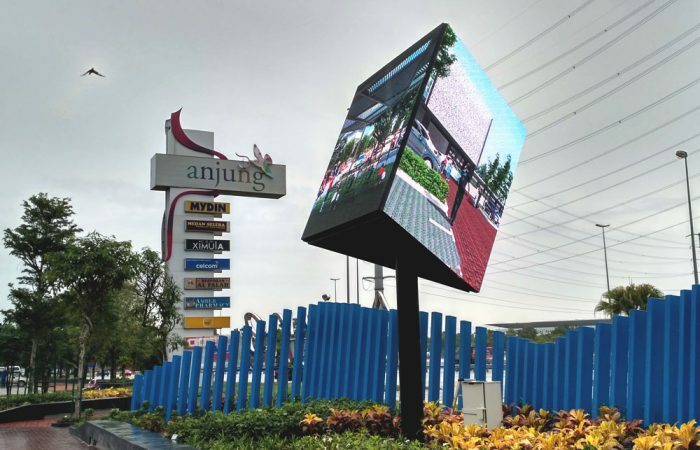 LEDtronics played a large part in bringing the vision of this 3-sided display to life for UEM Land Berhad. 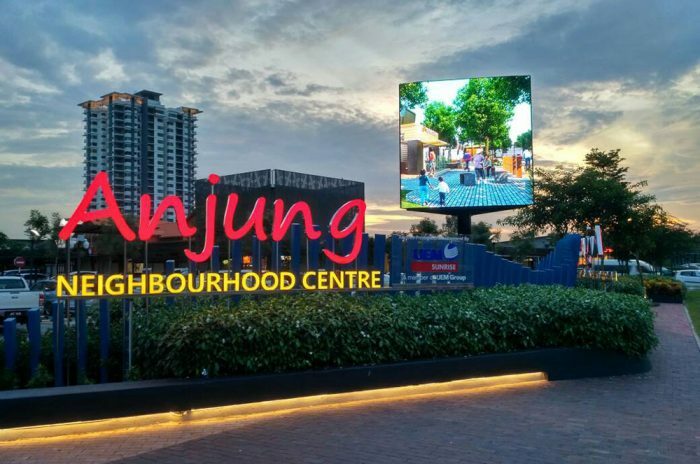 It is used as a adornment to the entrance of the latest Anjung neighbourd centre located at Nusajaya, Johor and also as a platform for Video content and messaging.